This dish was suggested by my boyfriend, Dave. When Dave first met my parents (more than a whooping 6 years ago! ), every time we went out for dinner he ended up ordering fish and chips. After about 6 months, my mum actually had to ask if he ate anything else! He does of course, but there is no denying he really enjoys a bit of traditional fish and chips. I’ve only ever cooked fish by poaching smoked haddock in the oven to have with a mushroom risotto. I don’t know why but I have always been a bit reluctant to try new things with fish. I’m happy to try different things when someone else is cooking but I’ve been nervous about cooking it myself. This couldn’t stop me now – the whole point of Challenge 52 is to take me out of comfort zone and so I embraced the challenge here. I did a quick search and found a really nice looking fish recipe by The Hairy Bikers. You can find the recipe here. For the chips, I have been trying a few new methods in recent weeks and below I have described the method I used this time. *I let Dave decide which type of fish he wanted and there wasn’t even a contest – it had to be cod. I had tried suggesting we have a different type of fish to help with sustainability and the problem of over-fishing the more common types, but nope, Dave said it had to be cod. I started by preparing my chips. 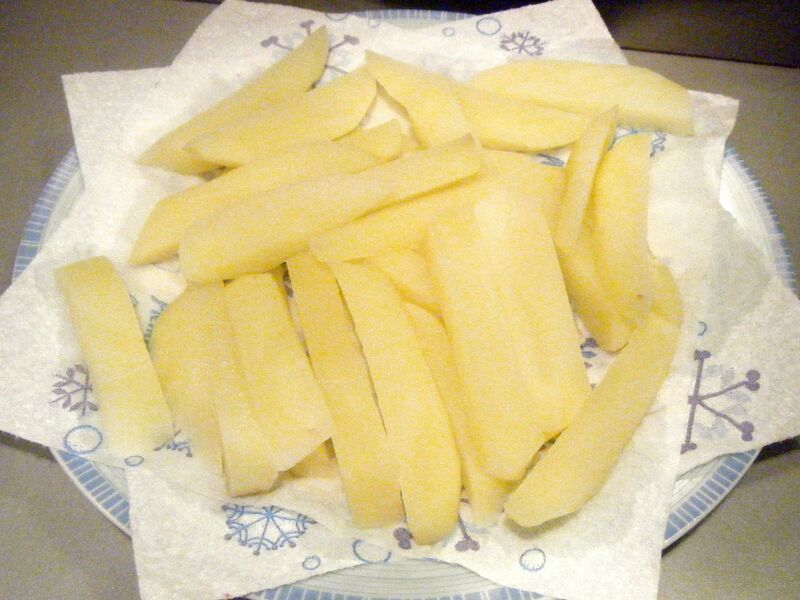 I’ve recently tried using the multi-cook approach to chips and this involves blanching them in water, cooking them in the fryer on a low temperature and then once cooled finishing them off in the fryer on a high temperature. 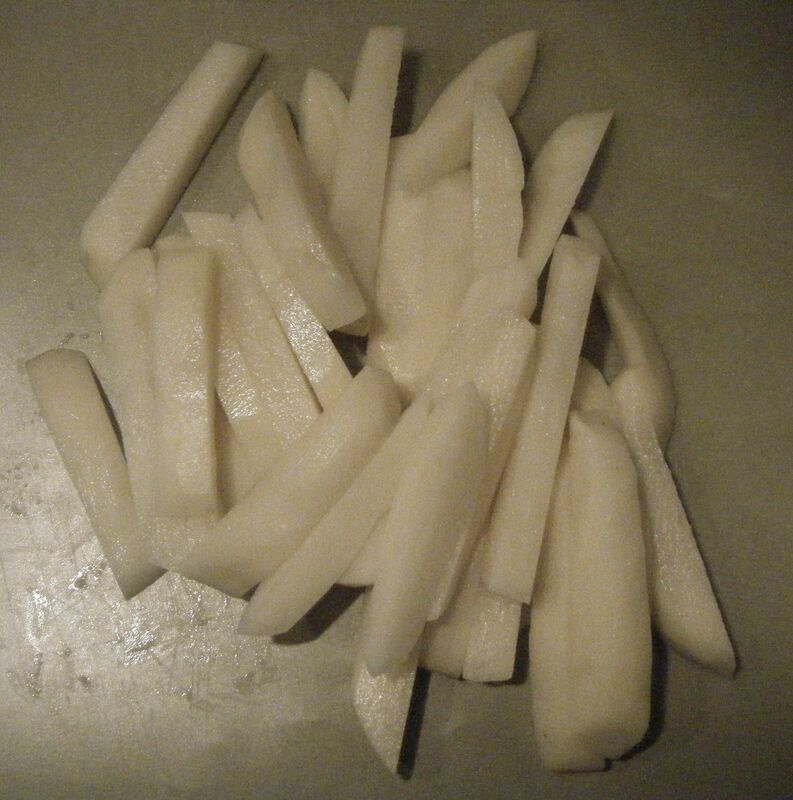 Once they were chopped I washed them in cold water to remove as much of the starch as possible. I then popped them in a pan of salted water which I bought to the boil and I cooked them until they were soft but still holding their shape, this took around 8 minutes. 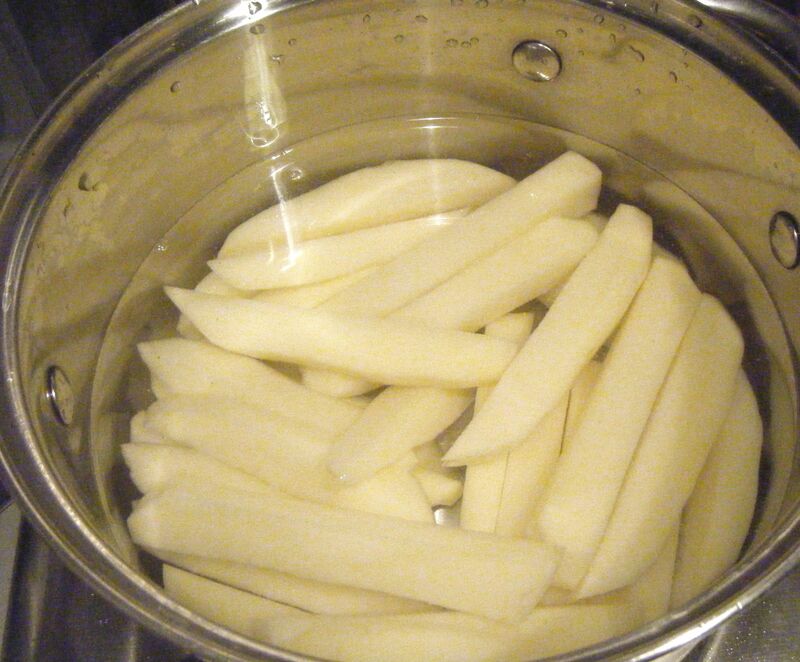 I then drained and put the potatoes onto some kitchen roll to remove as much of the water as possible. I heated up my deep fat fryer to 140 degrees celsius and cooked the chips for another 8 minutes. I then put them on a tray lined with kitchen paper to drain and cool down. 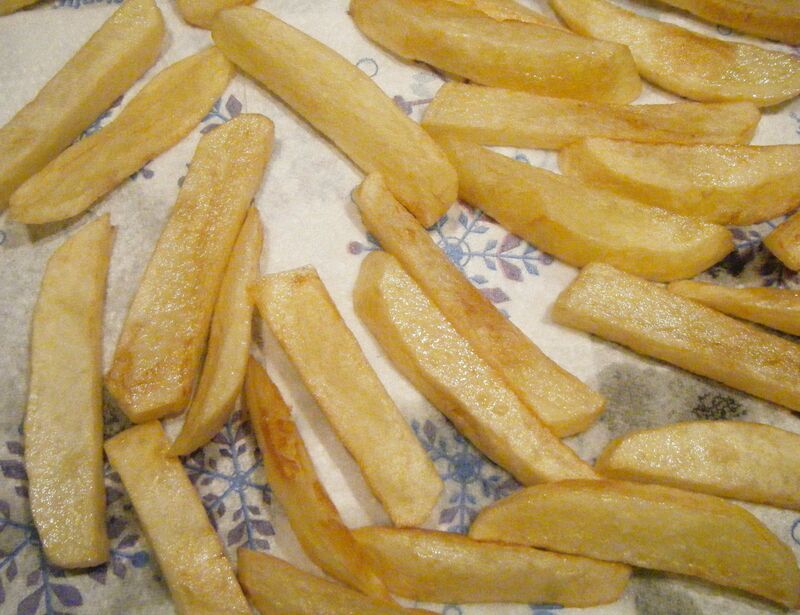 Practical tip: because of the various stages involved, you can blanch and initially fry the chips and then leave them to one side to cool whilst you get everything else done. Whilst the chips were cooling I got on with the fish. 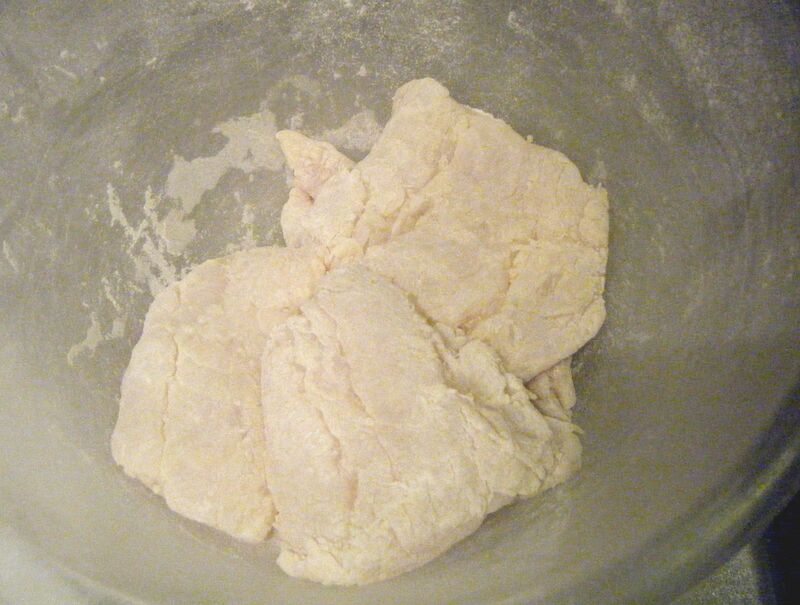 I prepared my batter by mixing the cornflour, plain flour and salt in a bowl. I made a well and then poured in the ale and vinegar. 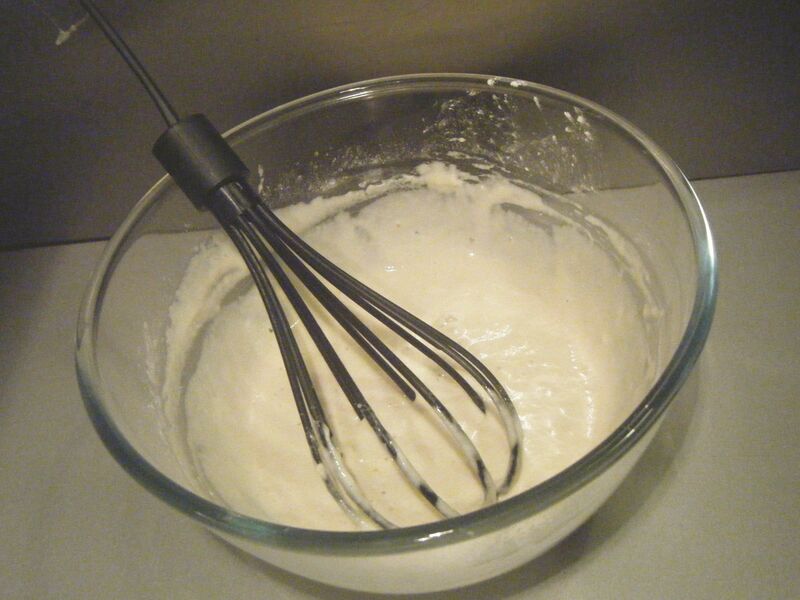 The recipe specially instructs to beat the mix with a large metal whisk. I don’t know why it has to be a metal whisk but I don’t have one of these – mine is plastic! So I simply beat it with my plastic whisk until I had a smooth batter and this seemed to work well enough. With the batter ready, I turned up the temperature on my fryer to give it time to reach the required 180 degrees celsius. 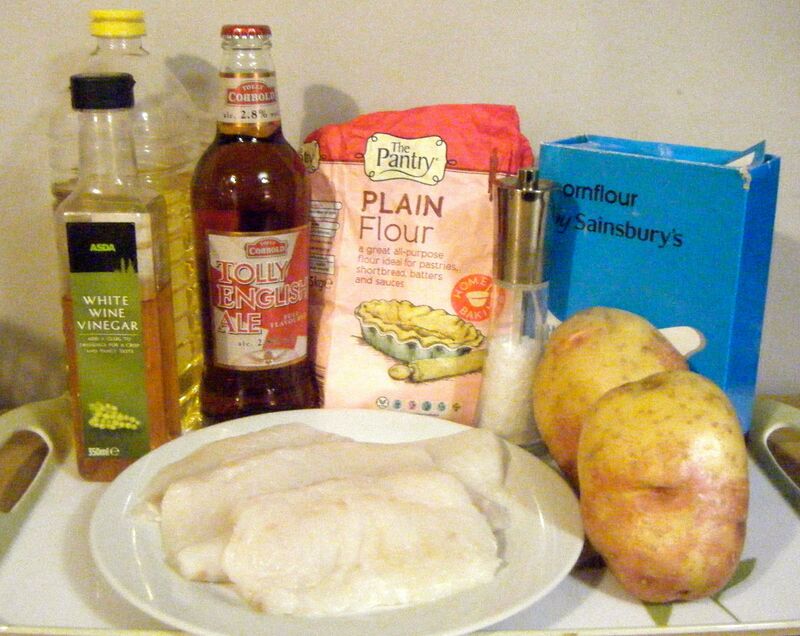 I then moved onto the next stage of the recipe – putting the flour and salt in the food bag to coat the fish. Uh-oh, I had ran out of food bags! I’m going to blame Dave and say he used the last one without telling me 😉 Anyway, without any food bags available, I decided to use a plastic bowl and simply covered it with cling film to toss the fish. It definitely wasn’t as good as using a food bag but it got the job done. So everything was ready to go! 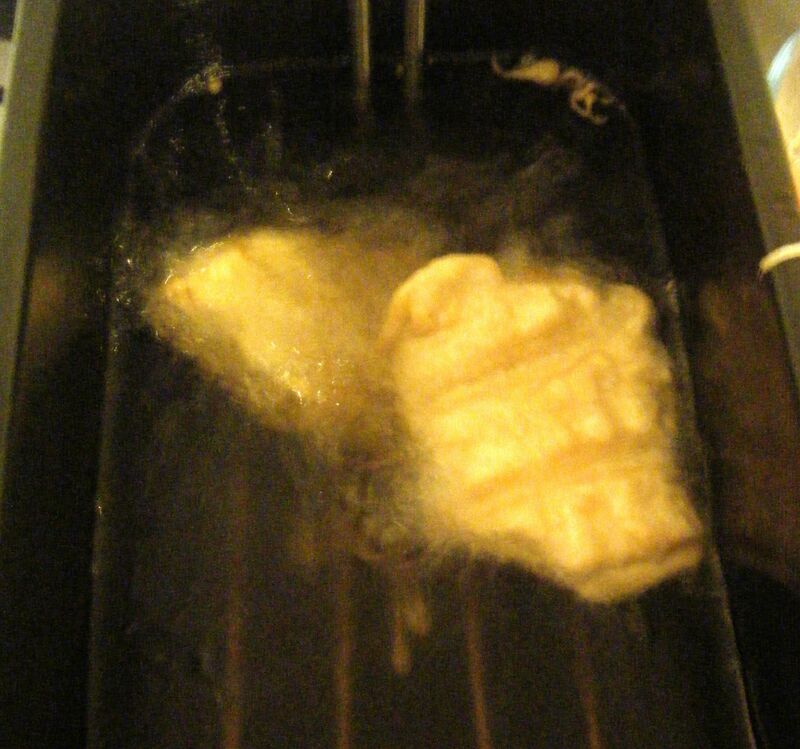 I dipped my floured fish in the batter and popped it into the fryer. The recipe itself says to lower the fish into the oil using tongs and Dave’s mum confirmed I shouldn’t use a basket. I therefore didn’t use the frying basket (or tongs as mine are plastic!) and just carefully dropped the fish straight into the oil. Once in the oil, I prodded the fish with a metal spatula (borrowed from Dave’s mum as again, mine is plastic) and it floated to the top of the oil and bobbed away in the bubbling oil. I made sure to turn the fish a couple of times and the batter was soon a lovely golden brown. I did try to take a better photo of the fish in the oil but it spat at me and the hot oil just missed my eye so this is as good as you’re going to get on the photo front! I decided to fry my fish in two batches and just put the first lot in the oven whilst the second ones cooked. With the fish done, I turned the fryer up to 190 degrees celsius and popped my chips back into the oil for around 4 minutes. I drained them on some kitchen roll, tossed them in salt and served up. The final dish was yummy, chips, fish and all. The batter was nice a crispy and the fish was perfectly cooked. The chips were one of the best I’ve done so far, still not quite how I like them but definitely getting there. 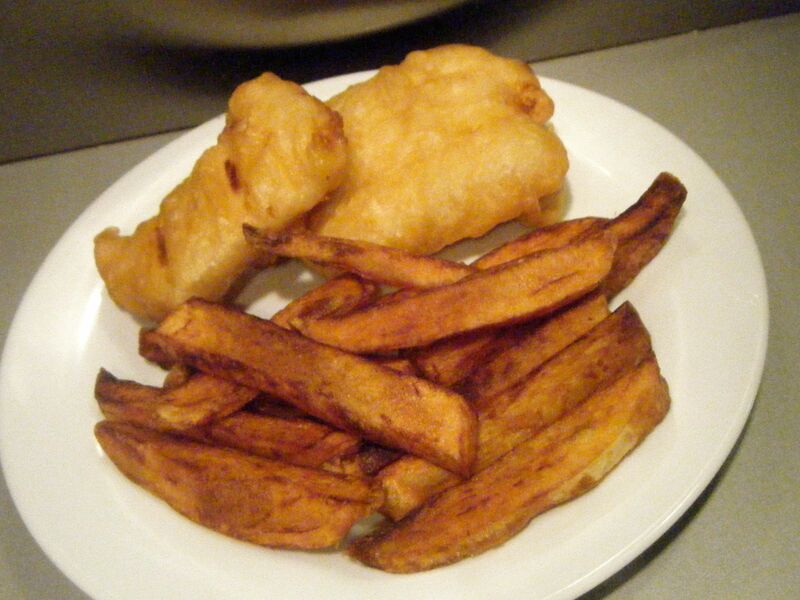 Overall, our fish and chips were lovely and I’m sure Dave will soon be pestering me to make it again. Coming up next week, Challenge No. 13 – candy floss cupcakes. 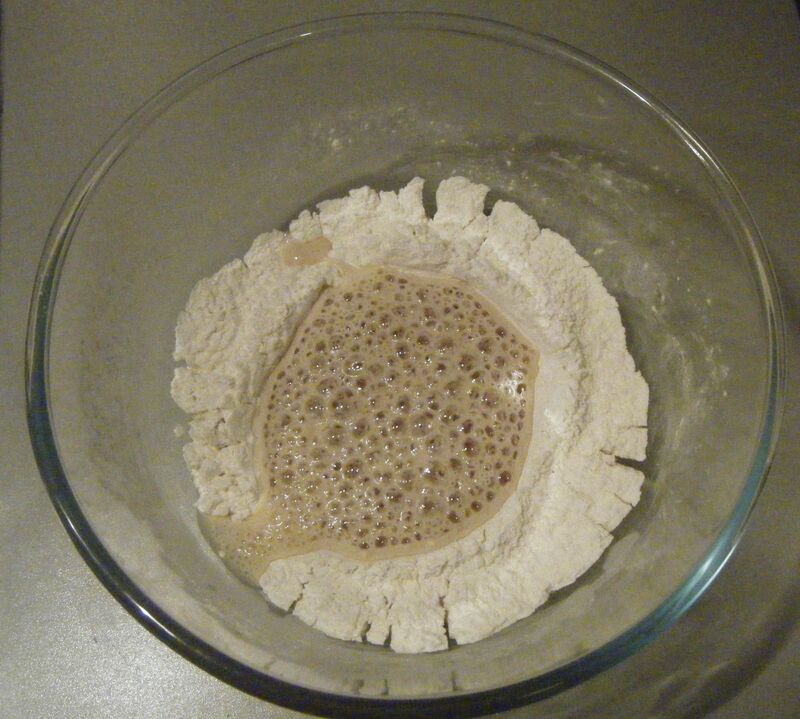 This entry was posted in Challenge 52 and tagged Challenge52, Fish, Food, Recipe, Savoury by MyGastroAdventure. Bookmark the permalink. Hi Vanessa – such a coincidence that you posted this today – as I rarely cook fish fillets (or chips) at home but am planning to do it for the first time tomorrow – we even have the beef suet ready in place of vegetable oil! This looks amazing! I have been craving fish and chips. I will have to try this soon!